As you all know, I've been busier than a honeybee on crack for the past couple of months. As odd as it may seem, I have now finished my first of five quarters at Hopkins, and managed to pass all my classes! Time flies when you're sick, in pain, and taking &$%# epidemiology. 1. If, like me, you have neuropathic pain (as in the case of fibromyalgia, or any other syndrome where your nerves are simply going bonkers), narcotic painkillers may actually worsen the pain. She suggested doing Tai Chi to help alleviate the pain and stiffness, although I'm more of a yoga girl myself. 2. Lupus patients should avoid, among other things, alfalfa sprouts (I happened to know that one already), and garlic. Odd, but there you have it. 3. Caffeine is the number one trigger for migraines. I was *not* happy to learn that I have to switch to decaf. Not happy at all. 4. 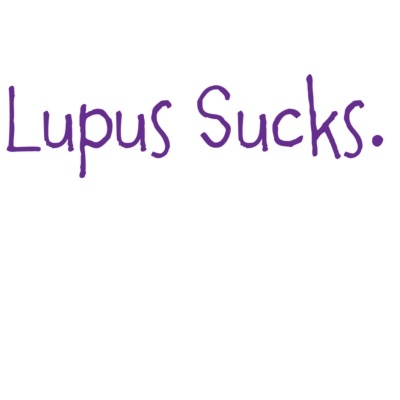 Plaquinel, even if it doesn't seem to do any good, should be taken by any lupus patient who can tolerate it. I'm now part of a study designed to show that it reduces flares, kidney disease and neurologic complications. Basically, Dr. Petri thinks that any patient who can tolerate it should be on it for life. 5. As a white female, I have a 50% chance of developing lupus kidney disease (lupus nephritis). Dr. Petri didn't tell me the rates for other races, presumably because they don't apply to me directly. All in all, I was pretty impressed. Dr. Petri (her name is very appropriate, no?) is a down-to-earth, nice lady. She makes herself available to her patients through email, and will send a copy of her medical notes of each visit to the patient after each visit. I elected to enroll in two studies, being a scientist, but she made it perfectly clear that she would not think any less of me if I chose not to do so. I did, however, decline to give permission to have my session taped for learning purposes. For now the advice is to add plaquinel to the 14 or so other medications I'm on, and stay the course with the methotrexate and the Benlysta. She also has a couple theories about why I'm dropping weight so fast, and made it clear that she would be interacting with me via email before my next appointment. Cool. Go Dr. Petri! So glad you got her. so is #3 only about lupus patients, caffeine is the best treatment for my migraines. ok not the best, that would be imitrex:) my neurologist prescribed mt dew for my headaches. It's about time you got someone like that on your side. I'm still trying to sort out the difference between Tai Chi and Chi Tea. I've heard good things about both. Meanwhile, metaphoric hat (I'm inside, so no need to wear it right now) is off to you for finishing a quarter will miserably ill on the side!! @Momster- I pointed that out, and she agreed that sometimes caffeine can be helpful. It's more about the habitual (over)-users like me that she was speaking. @LauraN: Chai Tea is delicious. Tai Chi is like watching lame martial arts in super-slow motion. i am so happy sam your being heard getting much need help what i dont undestand is i have lupus mixed connective rra scraderma part mixed crest was positive blood disorder never been asked to try aney thing other then plaqunill methotrexate i can take all most called my liver to shut down he says lupus is seperate from mixed connective he great rummy could it be do to my heart other issues its got my skin blood heart showing start kidney problems rummy says heart from ramatic fever that i never had heart dr. says its lupus aney way can you tell me where the best place in florida ft.lauderdale hospital time to get checked by another rummy thx sharon i no my spelling suckes. I am glad you have found a good doctor who will help. Caffeine is pernicious and insidious Your grandfather found himself addicted to Excedrine at one point not realizing that the withdrawal headache was making him take it every day. He read a warning poster in a Dr.'s office and realized that was him. He called me to talk about it surprised that it had caught him that way. Other than a small amount of high grade chocolate I stay far away. Alot of headache medicines contain it, but they often cause more problems than it is worth. I stopped using all of those over 10 years ago at my neurologist recommendation and the number of re-occurring headaches went down. Yes, Dr. Petri's name is fitting! :) I have a little neuropathy also, recently pain has subsided. Strange how it comes and goes. Will remember the Tai Chi, however, I agree with other commenters, Chai Tea is delicious. :) Love the Iced Chai Tea from Panera. Plaquenil: I take it myself, did she happen to say if generic is OK? Kidneys: I have a friend who is female and she has lupus nephritis. She has flares, but for the most part she is OK. She is awesome, doesn't let her disease "get to her". Weight: I lost lots of weight this year, too. I was very stressed out at the time, but I lost weight FAST. Turns out I had hookworm (from my cats ... believe it or not). Also Cutaneous Larvae Migrans. All of us are treated now. Do you get headaches from tea or coke? If not than it may be other substances in coffee causing your headaches. Coffee is gut irritant and causes intestinal permeability to increase, and it probably is the case for decaf too. Anyone with an autoimmune disease should avoid it. That is great. I take plaquenal mobic nuerontin and prednisone. No gluten and nothing processed it made a big difference and no caffeine. 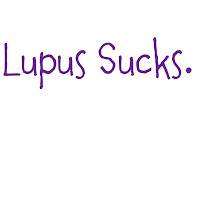 My wife was diagnosed with "mild to moderate" Lupus today. We did not want to read up much on anything until a real diagnosis was given. I want the best care that I can get for my wife. We are big belivers in early detection and minimal drugs as needed (but we will take what the Dr. says). I was wondering if a clinical trial is a good step in the right direction. I'm thinking that it would help with forming a plan for controlling the symptoms. What do you think? Thanks. Very little scientific evidence for most of what this physician recommends. But, hey, there is no cure for this disease, so why not? I find her to promote her own dogma and would like to see her do far better research with her patient registry.